The fast moving African Snipe (Gallinago nigripennis) was one of the birds we saw when my wife and I took a recent trip away from Limpopo in the lowveld and the Kruger National Park to South Africa’s highveld and Johannesburg in Gauteng. Just to the East of Johannesburg, close to a small town called Nigel, we had a chance for an early morning visit to one of our favourite places for photographing waterfowl at a protected RAMSAR site ‘Marievale Bird Sanctuary’ a haven for waterfowl. 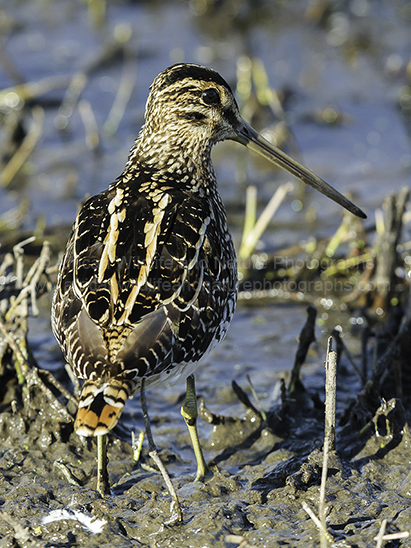 This African Snipe is one of over 240 species of birds recorded over the 1000ha site with over 65 of these species being waterfowl. Habitats at the sanctuary include shallow open water, reedbeds and grassland, so you can imagine the variety of habits providing a safe haven for many bird species.